Brad Meltzer is the #1 New York Times bestselling author of The Inner Circle, The Book of Fate, and seven other bestselling thrillers. In addition to his fiction, Brad is one of the only authors to ever have books on the bestseller list for nonfiction (History Decoded), advice (Heroes for My Son and Heroes for My Daughter), children's books (I Am Amelia Earhart and I Am Abraham Lincoln) and even graphic books (Justice League of America). He is also the host of Brad Meltzer's Decoded on the History Channel, and Brad Meltzer's Lost History on H2. He currently lives in Florida. You can find much more about him at BradMeltzer.com. You can also see what he's doing right now at Facebook.com/BradMeltzer and on Twitter @bradmeltzer. "Highly entertaining... Meltzer keeps the action crackling... 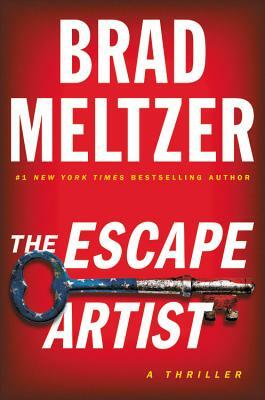 There's no escaping the solid storytelling of THE ESCAPE ARTIST." "Meltzer has based his literary career on conspiracy-themed stories, and he's very good at them. In Nola and Zig, too, he's created two of his most compellingly fresh characters. Nola, in particular, represents a high point in the author's career: a strong, resourceful, mysterious female lead who could go toe-to-toe with Jack Reacher, Bob Lee Swagger, and the other guys. First of a new series, according to the publisher, and that's just fine."